Is There a Role of EBUS in the Decision-Making of Endoscopic Treatment for Carcinoid Tumors? Determination of the depth of invasion of carcinoid tumors is the most important finding for choosing the appropriate mode of therapy, whether it be local laser destruction or surgical resection, yet computerised tomography and bronchoscopy have not been very adequate for the decission. We assessed the usefulness of endobronchial ultrasonography (EBUS) in the determination of the depth of tumor invasion of the tracheobronchial wall in carcinoid tumors. From 2005 to 2010, 18 patients with carcinoid tumors were evaluated with high resolution computerised tomography (HRCT), broncoscopy and EBUS prior to surgery. 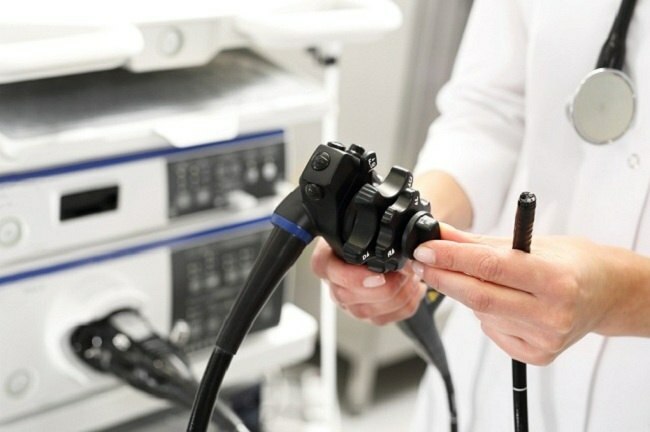 EBUS by a 20MHz-radial probe with balloon was performed in all cases to determine the size of the tumor, the depth of invasion, and to evaluate the relationship of the tumor with the adjacent vessels and lymph nodes. All patients were operated on in days after bronchoscopy. Histopathological findings were compared with the HRCT, bronchoscopy and EBUS findings. The tumor was visualized with EBUS in all cases. The exact size of the tumor could be measured in 15 cases, while in 3 cases it was out of range of EBUS. When compared to the pathological size EBUS measurements were more accurate than HRCT measurements. In 3 cases with no lesion but just atelectasis in HRCT, EBUS revealed only superficial infiltration of the bronchial wall with the tumor and the cartilage was intact, indicating a tumor potentially suitable for bronchoscopic resection. In all patients surgery confimed EBUS findings. Our study showed that EBUS evaluation in carcinoid tumors adds to bronchoscopic and radiologic findings and can be useful in decision making for local laser destruction instead of surgical resection.